Roo operates by the mantra, "Common when possible, custom when it counts." 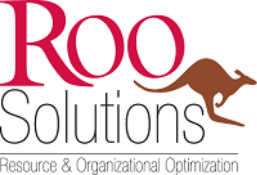 With over 20 years training and development experience, Roo can provide a variety of standard and customized training solutions. We also have strong partnerships with experts in coaching, conflict resolution, career transition, communications and other topics. We also support our clients with training needs analysis, curriculum development and delivery. Training can be conducted at your location or our offices.